The 102nd edition of the Tour de France begins this weekend and many teams and individual riders will attempt to conquer the most important test in cycling. 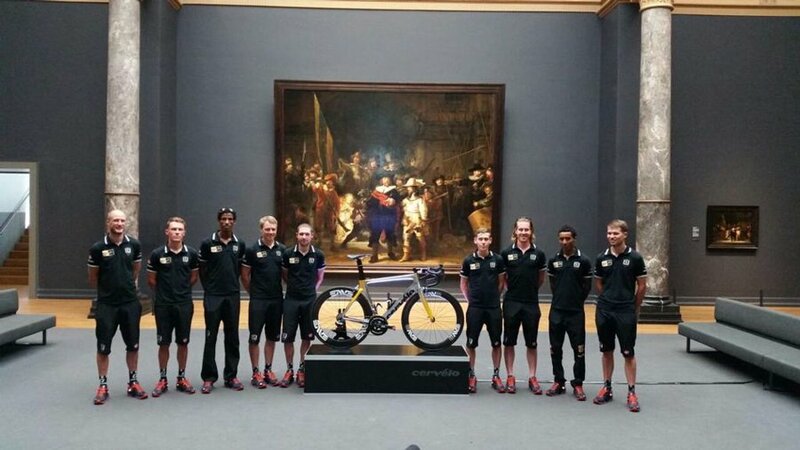 Africa’s first Pro-Continental cycling team, Team MTN-Qhubeka, who proudly became Laureus Ambassadors last year and are the first African team to ride the Tour de France, will be looking for a strong start on Saturday. Following on from their fantastic 2013 debut season on the international cycling stage, the MTN-Qhubeka riders made history last year as the first African team to compete in a Grand Tour, La Vuelta (the Tour of Spain). And now, the South African outfit was one of five teams handed wildcards for the race to complement the 17 International Cycling Union (UCI) teams automatically selected for the Tour de France. “It would be another step in history for African cycling. It would also be a historic moment for the Grand Boucle itself, as the organizers would add a new continent to their exposure” said team director Jens Zemke Team MTN-Qhubeka website before the big announcement was made. The team recently selected the final Tour de France team and chose two Eritrean riders, Merhawi Kudus and Daniel Teklehaimanot, the first men ever from the country to take part in the Tour de France. In all likelihood, Kudus will also be the youngest rider in the race, while Teklehaimanot will start the Grande Boucle fresh off winning the team’s first-ever World Tour leaders jersey at the recent Criterium du Dauphine. There will be three South African riders making their Tour de France debut: the African champion, Louis Meintjes, South African champion, Jacques Janse van Rensburg, and Reinardt Janse van Rensburg. All nine riders will represent the African continent on cycling’s most global stage, with the objective of driving their #BicyclesChangeLives campaign in an attempt to mobilise 5000 kids in Africa with bicycles this July. To find out more about this great campaign click here. Team MTN-Qhubeka and all the other Laureus Ambassadors are a select group of current and former sportsmen and women around the world who have achieved sporting greatness or made significant contributions to the sporting community during their careers. They are recognised as role models and icons of success and have volunteered their services to support the work of the Laureus Sport for Good Foundation.